Solisyon Kominote Yo is thrilled to announce that the third phase of the financial literacy program has begun! After a rigorous, 3-session training over the course of 3 weekends, 15 workers within the AM3 factory of CODEVI who graduated from the financial literacy course in 2014 were selected and prepped to become trainers. The 15 new trainers for the Third Phase of the Financial Literacy Program, including supervisor, Maude and Field Consultant, Gaetan. The first two classes were conducted with the new trainers on Sunday, November 8th. The third phase allows trainers to invite members of the community to participate in addition to Codevi workers, so each class had participants from Codevi and from the community. It is a great opportunity to improve access to finance and increase financial knowledge throughout the Ouanaminthe community. Participants of the financial literacy course in the school, College George Muller in Ouanaminthe. Through the month of November, two classes will be held every Saturday and Sunday, until all 15 trainers have taught the course. 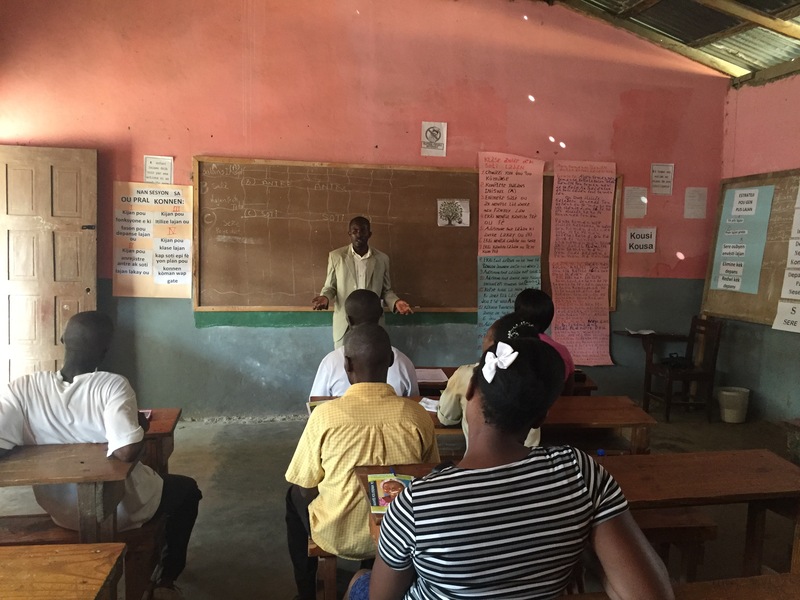 The classes are held in a local school in Ouanaminthe in order to engage and interact with the community. 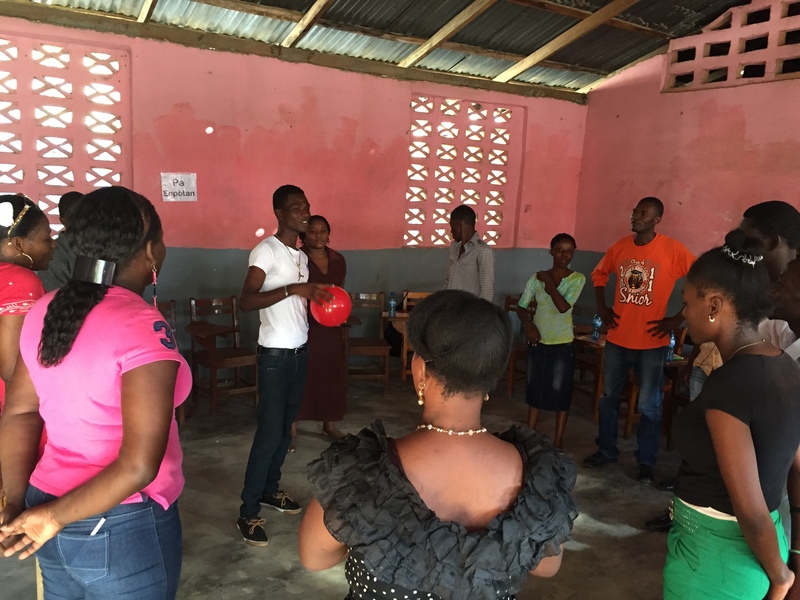 It is very exciting to see the once former students of the financial literacy course now empowered to lead the class themselves… creating the opportunity to generate large-scale social impact! The first two trainers of the Third Phase of the Financial Literacy Course. As always, this would not be possible without the hard work of the two supervisors, Bob and Maude, who do an outstanding job monitoring the classes and giving support to the trainers when needed. 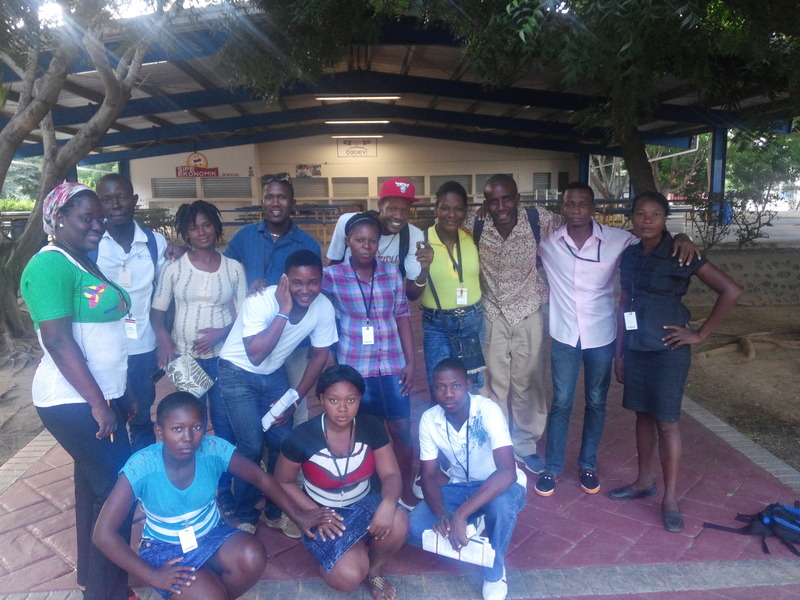 In addition, the generous support of the Levi Strauss Foundation for their commitment to improving Worker Well-Being in Ouanaminthe is invaluable. This update highlights CES’s core value of the month, inclusivity. Within this third phase of the financial literacy program, SKY is empowering more workers from the community to become trainers, while also opening the door for community members outside of Codevi to participate in the class and improve their financial knowledge. Being as inclusive as possible is a priority in every CES project because it is essential to create long-lasting systemic change in the communities in need.